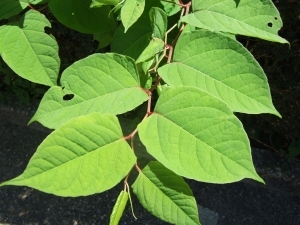 You’d think academics would agree on the damaging impact of invasive species such as Japanese knotweed. However, recent research from ETH Zurich, published in NeoBiota, has revealed that this isn’t necessarily the case. Experts are increasingly challenging the notion that non-native invasive species are the driver of species extinctions and other environmental changes. The issue is further compounded by many native species exhibiting invasive and ecologically damaging behaviours. As part of the research, 26 academic experts, 13 of which were invasive species specialists, with the remaining 13 being landscape experts, were interviewed in order to gain an understanding of how they defined and understood the concepts of invasive non-native species. While the scientific consensus is that non-native invasive species can be extremely damaging to ecosystems and biodiversity, which is supported by various guidance documents and policy across the EU, this was not apparent from the results of the research. These showed that the academics’ views were extremely wide ranging. difficulties with academics recognising, and acting with due regard to, their role in presenting new knowledge. The authors of the research suggested that the problem is one of different groups misunderstanding each others’ concepts of invasive species and their subsequent impacts. They further recognised that such misunderstandings, if not addressed or explicitly highlighted in on-going research, could cause the public and other significant stakeholders to question the credibility of policy measures to manage the impacts of non-native invasive species.